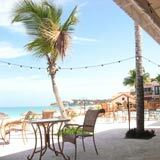 If you're looking for delicious food in Anguilla, you don't have to look very far. 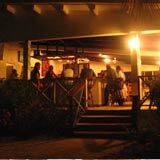 Whether your taste is for upscale, gourmet, humble or homestyle, Anguilla is covered with great options for eating delicious and well-prepared food from almost any category. A casual and convenient spot with good food? Jahmaykan Flavaz. Jah-may-kan. Fla-vaz. You get it. 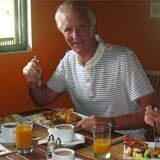 Jamaica is another Caribbean island with tasty local food, full of flavor. Don't think it's only jerk-flavored food though. 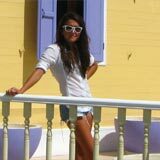 It's flavorful food but not necessarily jerk and therefore not necessarily spicy, a common misconception. It is hearty and if it's "jerked" the menu will indicate. 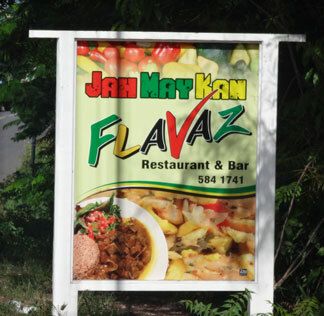 I am a fan of Jamaican food and I had heard Jahmaykan Flavaz's food was tasty and of a decent value too. Sold on trial! 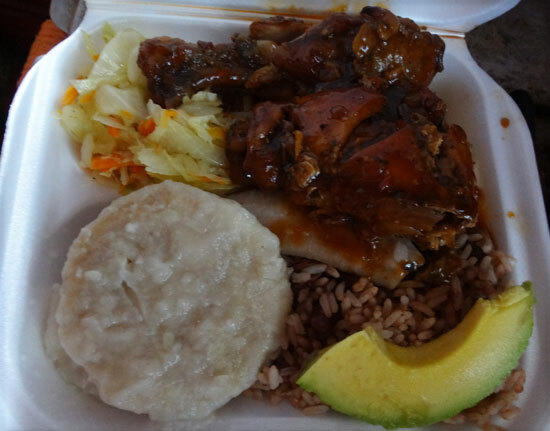 I've now tried Jahmaykan Flavaz twice and walked away with terrific baked chicken and stewed chicken for a total of $16 US, not bad for heavily import-reliant Anguilla. The rumored good food and good value has held true. The menu is on a dry-erase board so that it can change daily. They're open every day of the week (except Sundays) from 11am and "until". The "until" averages to be a 5pm closing. Written at the bottom of the menu each day their menu reads, "All of the above cooked and served with love". On the menu every day is baked chicken and oxtail. 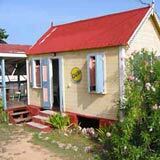 They are two standard mains that you'll find in Jamaica and throughout the Caribbean. 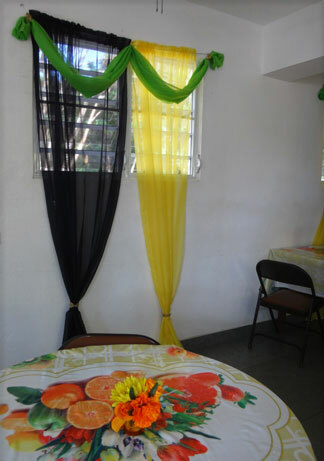 Rotating menu entrees are fresh snapper (cooked on order), bullfoot, stew chicken, curry goat, curry chicken, and akee and saltfish (a Jamaican staple meal). The menu tends to offer at least 5 different mains. I easily recommend the baked chicken. The sauce on the baked chicken alone brings me back. It's a dark BBQ type sauce. My tastebuds tell that it's a little more special than a just a store-bought bottle of BBQ sauce. It also has the perfect amount of heat. It's barely mentionable to someone with a delicate palate but there's something there in the aftermath that ever so softly makes you raise an eyebrow if you appreciate a little touch of heat. The portion is generous and a light eater could easily make two meals from one. The prices range from $8 US to $12 US and include sides. The sides are delicious and plentiful. 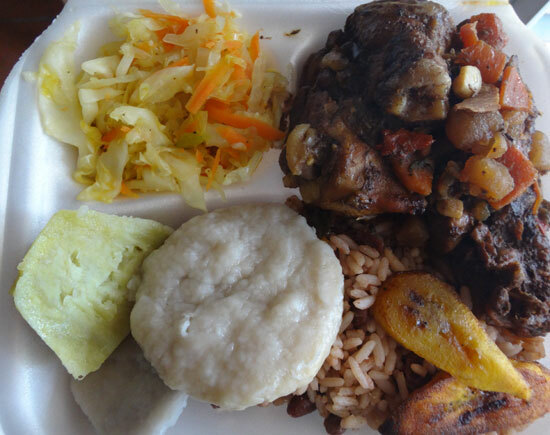 Choose from rice and peas, provisions (normally yam, Caribbean sweet potato, and/or green banana), steamed vegetables (including cabbage and carrots) and green salad. I was pleased to find a fresh slice of avocado on one order and fried plantains on the next. They also include a dumpling. The sides are all cooked nicely and the compliment of the dumpling is a positive touch, an exciting bonus to many who hail from the Caribbean region. 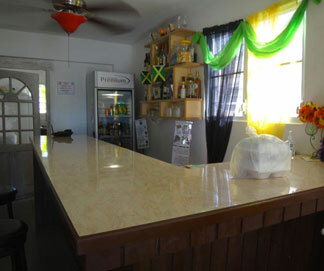 Drinks are sold separately and include juices, sodas, water, beer, wine and mixed drinks. They range from $1 us to $5 US. They do $3 shots and only charge $5 for a mixed drink. If you choose to eat in, Jahmaykan Flavaz has high stool bar tables and low tables with chairs and flatscreen television on the wall. 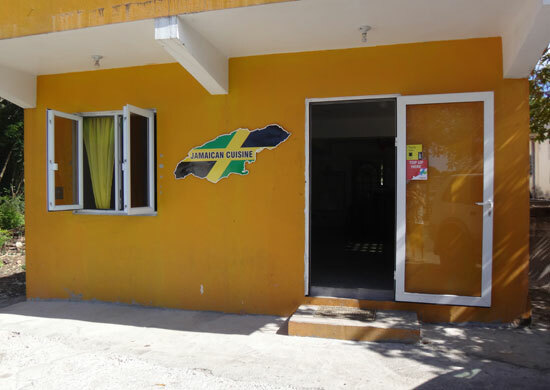 Prompt, this restaurant, adorned with Jamaican-colored table clothes and window treatments, provides everything you need for a low cost. Jahmaykan Flavaz sits on the road that goes through The Valley towards Stoney Ground. The small, concrete building with ochre colored paint can be seen on the right, opposite from Lakes World (grocery store). If you can, park directly in front of the restaurant (just barely off the road) as that's the closest parking. 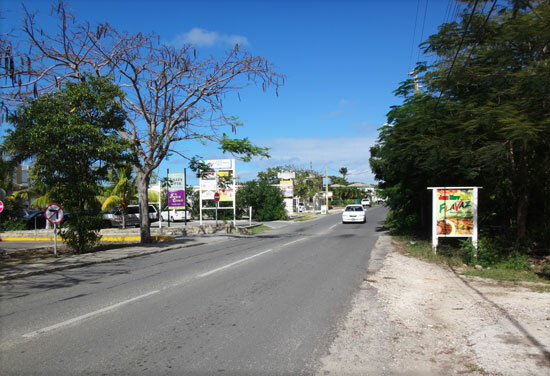 If it looks to be unavailable or a tight squeeze, you could park across the road and easily walk across - just remember to look right first as driving in Anguilla is on the left. Hours: Daily from 11am-5pm (closed Sunday).